In full cooperation with local villagers it may be advantageous to reduce fishing pressure in the lower reaches of the Nam Ton particularly around the confluence area with the Mekong during the time of upstream and downstream fish migrations. There is no question of imposing a ban, but perhaps this issue could be addressed in a different way such as one or two “no fishing” nights per week or limiting the numbers of nets set per night. Where access roads have been built, every attempt should be made to place road culverts at sites that allow small fish to follow historical migration routes. This allows them to spawn in rice fields and other habitats after their upstream migration and their return back downstream again on their return migration. Dry season Fishery Conservation Zones (FCZs) should be encouraged wherever possible providing that this does not make finding food too difficult. Simple signs placed above forest pools where water is deeper and requesting people not to fish there may be quite effective. This works particularly well if brush wood and branches are placed in the pools. It is not necessary to impose fines for fishing in these places, but more a case of asking for people’s cooperation. Any method used to prevent surface soils washing into streams should be encouraged. This might include planting riparian vegetation and shoring up banks with large stones or both. Obviously great care needs to be taken with pesticide and herbicide use. All forms of illegal fishing should obviously be monitored. 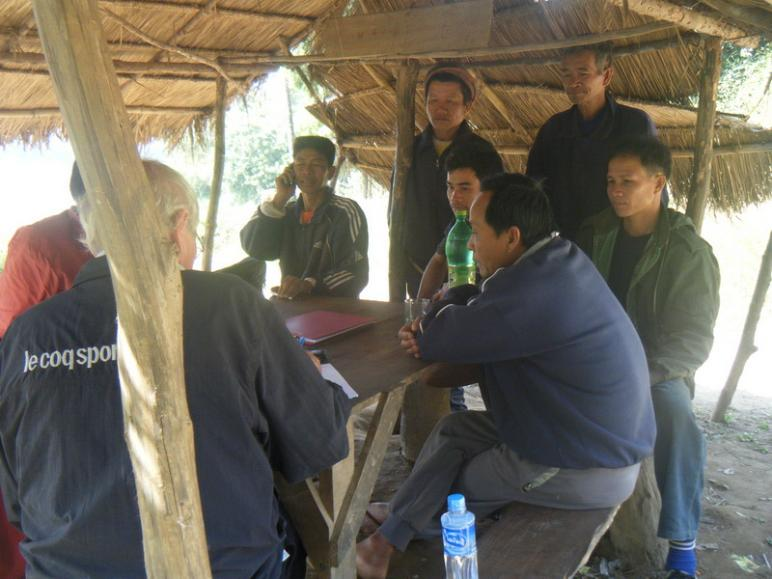 Perhaps something akin to a Nam Ton Fishery Protection and Conservation Group (NTFPCG) could be established at Kum Ban level to monitor fishing activities and conservation issues. The Nam Ton mainstream originates in the mountain range on the western side of Hin Herb District and flows in an incised valley passing down through Sangthong District before discharging into the Mekong River at Ban Pak Ton. According to information gathered during the December 2011 surveys, there are no full-time fishers operating in the NTPA. Between 30 and 90% of all house-holds (HHs) engage in some type of fishing activity on a part-time basis, but most villages where actual interviews took place put this figure at between 50 and 80% of HHs. In the villages where the Nam Ton mainstream is readily accessible, it is usually fished for part of the year at least. If it is too distant, then often many villagers do much of their fishing in Nam Ton tributaries. During the months of May and June fish either move in from the Mekong River on an upstream fish migration, or Nam Ton resident populations also move upstream. There is a well-recognized downstream return migration that takes place towards the end of the wet season months. There are no full-time fishers fishing in the Nam Ton although landings down close to the Mekong are reasonable, especially during the periods of fish movement, and probably contribute significantly to household ainly fixed gillnets, cast-nets and single hooks. Scaled-fish dominate the landings, although scaless-fish are caught also. Further upstream, not so many fish are caught and they tend to be smaller in size and many are small fish species. Many fisher farmers report that dry season flows are now very low compared to two decades ago, and together with the silting up of historical dry-season refuge habitats, many fish no long stay in the upper and middle reaches and return to downstream habitats where water is deeper. 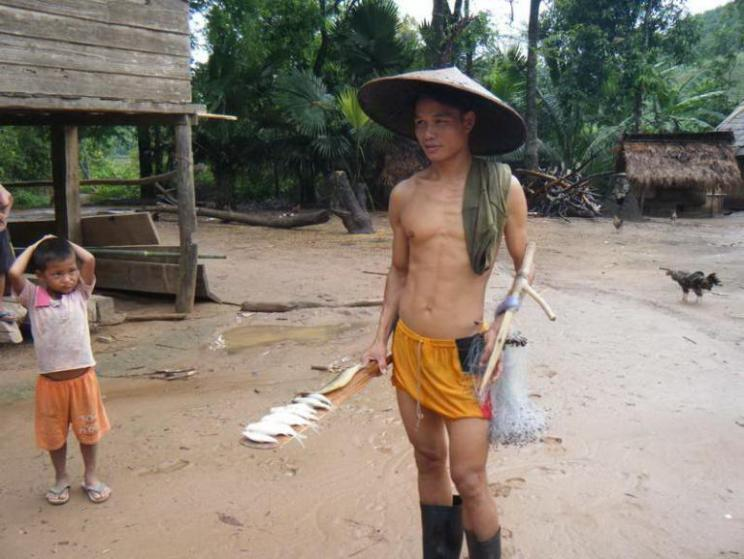 Fisher-farmers along the Nam Ton report that they target at least 50 fish species. 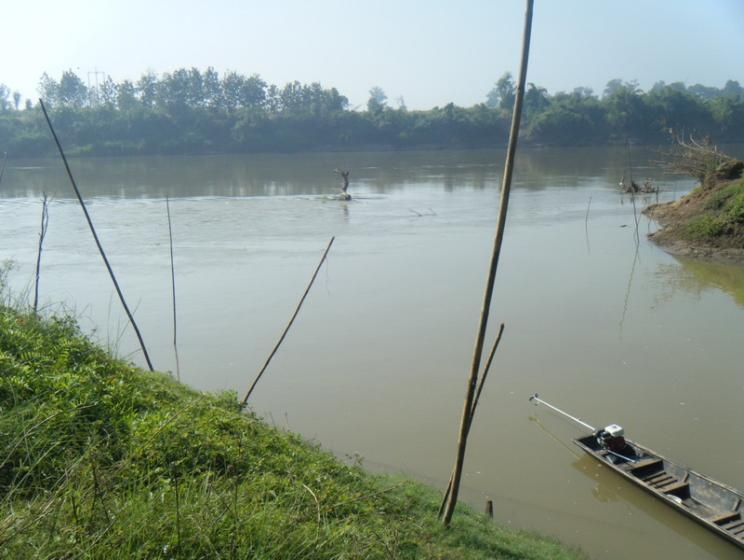 Fishery Conservation Zones (FCZs) are extant along the Nam Ton, but not every village has them.